You invite some colleagues to work together with you on something you feel is really important. Knowing you, your passion, and what they can contribute, they enthusiastically say yes. You come together for the first time. For the first 2 hours, the vibe is electric and the pulse is quickening. Then something shifts, and some people seem unclear about the process, they quickly start to disengage. Trying to re-engage the group, someone has an idea and proposes a different, “more engaging” process. A couple of the others agree, and feeling a little lost you agree. After all, you trust everyone in the room. A few minutes later, you notice a few others starting to check out. One of them calls for a brief point of clarification. The enthusiasm starts to breakdown quickly, accelerating into a collapse. You decide to stop the freefall, and call for a break. What happened? Great intentions, trusted colleagues, a great start, then rapid collapse. Have you ever experienced something like this? I have, frequently. While some people I know are extraordinarily gifted at seeing what to do in these breakdowns, converting them into breakthroughs, I wonder if many times it is possible to not collapse in the first place. A book I just finished reading by a well-known surgeon who studied surgery units, airline pilots, and large-scale construction projects, proposes a simple, elegant solution–the checklist. To align what we perceive in the world with what our best mental models suggest, I have long been a proponent of CRISP frameworks and processes. CRISP means that the frameworks and processes are designed to be obvious and how they are comprehensive, rigorous, integrative, simple, and purposeful. From this thinking emerged the GRASP, 5 primary relationships, 3 levels of perceived reality, 4 lenses, the O Process, and the Harmonic Vibrancy Move 4-step process. And yet, I continue to experience the kind of collapse I described at the beginning of this post. 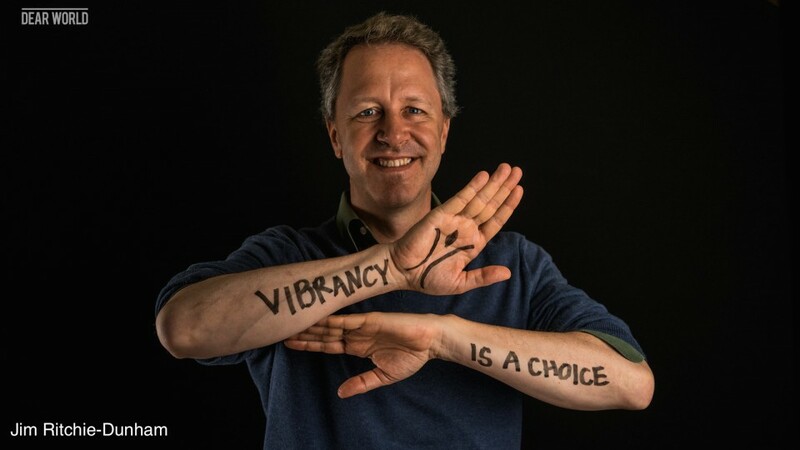 Enter the Vibrancy is a choice checklist. In The Checklist Manifesto, Atul Gawande shows how the checklist helps highly trained experts in complex situations prevent the avoidable failures that still haunt the activities we humans organize. What would this look like for abundance-based agreements, where we still experience frequent collapse? Gawande finds that people who have successfully used checklists with experts in complex situations often have checklists for process and for communication–what to do in what order, and who needs to talk about what and when. The point is to remember to do all of the critical steps, some of which are often forgotten in the heat of the moment. According to what Gawande found, the checklist should be designed for a specific situation. It should be short, with 5 to 9 items. The language should be simple, precise, and familiar to the professionals. And then, most importantly, it needs to be tested in a real situation. All checklists always need to be refined. Returning to the initial situation, before we start the meeting, we can create two checklists: one for the proposed process; and one for how we want to communicate when something else emerges. While the first might initially look like an agenda for the conversation, thinking of it as a checklist gets us thinking about the most critical elements to be addressed, some of which are often forgotten, and the different perspectives on what needs to come together. In addition to the basic process, what other assumptions do we need to be sure are clear to all and not missed, especially the ones we have experienced as being missed in the past? What roles need to be taken up, and who will take them? What are the most frequent avoidable failures that we experience? We want to make sure we address them consistently. In processes where we are working out of abundance-based agreements, we are engaging with high complexity–high vibrancy in self, other, group, nature, and spirit, with clarity about how much we see, who decides and enforces, with what values, and how we interact, in a highly engaged, interactive group. Lots of potential, with lots of emergence, ripe for checklists. In the next weeks, I will be sharing high-vibrancy checklists we are finding. If you have checklists for these situations, please share them with me. Vibrancy is a choice, and a checklist can help us remember how to invite, see, and honor that choice, especially when we forget.